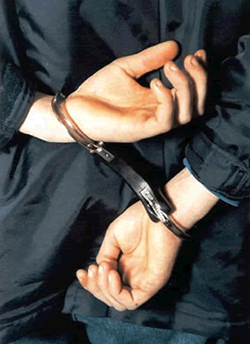 Columbus Bail Bonds understands that being arrested can be a stressful and frightening time. If this is the first time you’ve been arrested, you likely do not know what to do or where to turn. Simply call Anytime Bail Bonding, Inc.’s Columbus office at (706) 405-7508 so we can begin the process of securing your loved one’s release. We are open 24/7 and are conveniently located at 823 Veterans Parkway, Columbus, GA 31900. When you contact us at Anytime Bail Bonding, Inc., a bondsman will need some basic information on the defendant. The bail bond process includes getting the following information on the defendant: date of birth, arresting charge, jail being held in (county, city, state), arresting agency, booking number and bail amount. A non-refundable percentage (12 to 15 percent) of the bail amount will need to be paid, which may include additional fees. This is a more affordable option than having to pay the full amount of the bond to the court. A third-party indemnitor may also be required to guarantee the bond. We know it is important for you to be released as soon as possible so you can get back to work, your family, or other pressing obligations. If you decide to hire a bondsman with Columbus Bail Bonds to help your loved one get released from jail, they will secure collateral from you to further secure the bond. Often real estate is taken but bail bondsman can also use stocks, bonds, jewelry and cars as collateral. This will be returned once the bail contract has been fulfilled. Once you contact a bail bondsman with Anytime Bail Bonding, Inc., we will begin working on your release. We handle all types of bonds, including traditional and immigration bonds. If you are concerned about a high bail, call and talk to us. We are readily available to discuss your concerns and may be able to work out a payment plan. It is understandable that you cannot work if you are sitting in jail awaiting trial. Columbus Bail Bonds is here to assist you at this critical time. Anytime Bail Bonding, Inc. has understanding and knowledgeable bail bondsmen to help you at one of the most trying times in your life. Our agents are committed to helping clients go home to their families quickly. We are ready to help anytime – day or night – just call us at (706) 405-7508. Serving Muscogee County and Harris County jail.